Figure 1. 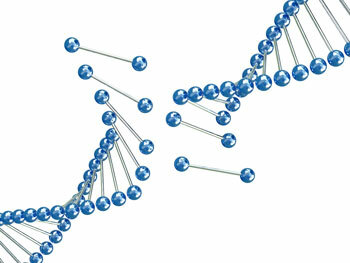 Chromosomal rearrangements involve the repair of double stranded breaks. They may be followed by changes in heterochromatin or centromeres, which suggest designed mechanisms are involved in the modifications. A better understanding of chromosomal rearrangements is necessary to developing both a more robust creation model and better reasoned apologetic arguments. Related to this issue is a critical need for a reasonable estimate of genetic similarity between various kinds at Creation. For example, evolutionists often point to human-chimp similarities to support their model’s assumption of common ancestry. Creationists commonly respond that similarity can be from a common designer and then list genetic differences between humans and chimps. 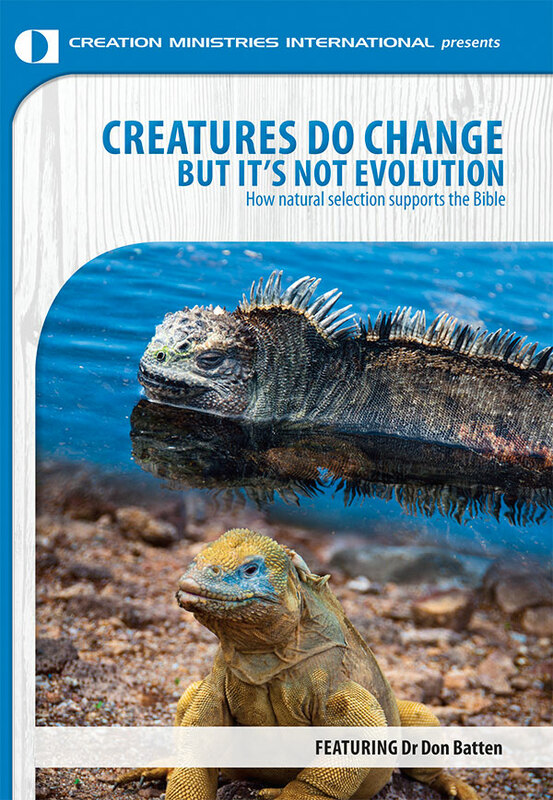 Which of these differences are because God created humans and chimps differently and which are from changes that have been acquired since then? If we point to differences that can reasonably be attributed to changes since Creation, our arguments will be weak and misleading. A proper use of evidential arguments depends on a robust creation model which requires a more detailed understanding of genetic changes that have occurred during history. Comparative cytogentics has been important in establishing that many mammals have undergone significant chromosomal rearrangements during their history. A diversity of karyotypes may occur within a genus3-5 or even a species.6-8 Given the considerable karyotypic diversity within some animal baramins (kinds), many of which were represented by only two animals on the Ark at the Flood, accounting for relatively rapid karyotype changes is a necessary part of the creation model.9 All rearrangements involve the repair of double stranded breaks. Additionally, many rearrangements are associated with alteration of heterochromatin, silencing of a centromere, and/or the formation of a new centromere.10 Because of the precision necessary to accomplish such changes while maintaining viability of the animal, it appears there are designed mechanisms in place to accomplish such rearrangements. Comparative genome maps based on chromosome painting are useful and have been performed using more than eighty eutherian species. Yet chromosome painting has some significant limitations when comparing divergent species. There can be reduced hybridization efficiency of the probes from increased sequence divergence between these species (e.g. eutherians and marsupials). Comparative genome sequence analysis based on direct genome alignments has been used to overcome this problem. However, when evolutionists attempt to construct maps of a putative eutherian ancestor, the results are quite different between the two methods. A new in silico method of comparison, called electronic chromosome painting (E-painting), has been developed to overcome limitations of the previously mentioned techniques and reduce the complexity of whole genome sequence alignments. First, orthologous (corresponding) genes are identified using various means such as reciprocal BLAST best-hit searches.11 Comparative mapping of these orthologous genes allows for identification of regions with conserved gene order (syntenic segments). These can be used to infer details about past chromosomal rearrangements. E-painting makes comparisons easier because it ignores intergenic regions. This also means the method cannot be applied to telomeric, centromeric, or non-genic portions of the genome. A recent study using E-painting has revealed some interesting results.12 The genomes of six different mammalian species (human, mouse, rat, dog, cow, opossum) and the chicken were compared. The mammalian genomes have been sequenced with a 7-fold or greater coverage. The chicken genome was included because previous studies had shown it remarkably similar to eutherians in genome organization. Altogether 526 evolutionary breakpoints (EBs) were identified and mapped with a resolution around 120 kb. There was a positive correlation between EB frequency and gene density. Unlike some previous studies, these EBs did not significantly correspond to well known breakpoints in cancer and other disease related rearrangements. Primate-specific rearrangements occurred preferentially in regions containing segmental duplications and copy number variants. The authors concluded that EBs were not random and show evidence of reuse. Their reconstruction of a putative ancestral eutherian genome based on this technique showed remarkable similarity to previous ones based on comparative chromosome painting. At this point some readers may be questioning the relevance of the above study. After all, the results are interpreted within an evolutionary framework where all life is considered to be related. Further, these results may make some people feel uncomfortable. If rearrangements do occur, and evolutionists can show how a chimp genome can be rearranged to fit the order found in a human, doesn’t that lend credence to evolution? Identification of patterns of intrabaraminic chromosomal diversity should help clarify what types of rearrangements are consistent with the creation model. First, chromosomal rearrangements themselves do not change one type of animal into another. Carriers of balanced chromosomal rearrangements generally have a normal phenotype, although they may have reduced fertility.13 Additionally, intergenic regions, genes without orthologs, and the specific sequence of orthologous genes are not considered in these comparisons. One cannot turn a mouse into a man by simply aligning its genes in the same order as ours. Second, genomic comparisons, whether within or between baramins, can provide useful information on genomic structure. This information is essential for further building the creation model. The identification of syntenic segments shows that genes commonly appear in a specific order. If there is an advantage to a specific order of genes, then chromosomal rearrangements may provide a mechanism for new gene associations that are advantageous in a different environment. Intrabaraminic E-painting investigations would be useful in investigating this idea further. It would also be interesting to note any overlap between EBs and breakpoints required by the creation model. This study should also force creationists to address the issue of genome organization similarity between baramins at creation. Decades ago it was thought that karyotypes were fixed, at least at the species level. Historically, many creationists have assumed that God created different kinds with different karyotypes. In light of what is now known about rearrangements, this assumption needs to be reassessed. Understanding interbaraminic similarity at Creation will add robustness to the creation model and aid in interpreting interbaraminic investigations that exist in the literature. Peer Terborg has suggested that God created baranomes, pluripotent uncommitted genomes, within created kinds.14 These genomes were designed to adapt rapidly, facilitated by the presence of variation inducing genetic elements (VIGEs). VIGEs include repetitive sequences and various mobile elements.15 Interestingly, another recent study identified a significant enrichment of certain endogenous retrovirus (ERV) and long interspersed nucleotide (LINE1) elements in EBs in humans and marsupials.16 Studies of phylogenetic trajectory of orthologous chromosomes have shown many EBs are coincident with ancient centromere activity or the appearance of new centromeres.16 Thus the identified ERVs and LINE1s may be acting as VIGEs which play an important role in chromosomal rearrangements. Creationists need a more complete understanding of the types of genomic changes that have occurred throughout history. This includes a more detailed understanding of chromosomal rearrangements. Identification of patterns of intrabaraminic chromosomal diversity should help clarify what types of rearrangements are consistent with the creation model. It may also help uncover underlying mechanisms for rearrangements and allow for reasonable inferences about the designed purpose of such rearrangements. This improved understanding of genomic structure and function may inform conjecture about interbaraminic similarities at Creation and aid in interpreting interbaraminic comparison that appear in secular literature. E-painting is a recently developed tool that can aid creation research in this area as genomic data continues to accumulate. Lightner, J.K., Gene duplications and nonrandom mutations in the Family Cercopithecidae: evidence for designed mechanisms driving adaptive genomic mutations, CRSQ 46(1):1–5, 2009. Return to text. Graphodatsky, A.S., Sablina, O.V., Meyer, M.N. et al., Comparative cytogenetics of hamsters of the genus Calomyscus, Cytogenet Cell Genet 88(3–4):296–304, 2000. Return to text. Houck, M.L., Kingswood, S.C. and Kumamoto, A.T., Comparative cytogenetics of tapirs, genus Tapirus (Perissodactyla, tapiridae), Cytogenet Cell Genet 89(1–2):110–115, 2000. Return to text. Yang, F., Fu, B., O’Brien, P.C., Robinson, T.J., Ryder, O.A. and Ferguson-Smith, M.A., Karyotypic relationships of horses and zebras: results of cross-species chromosome painting, Cytogenet Genome Res 102(1–4):235–243, 2003. Return to text. Nachman, M.W. and Myers, P., Exceptional chromosomal mutations in a rodent population are not strongly underdominant, PNAS 86(17):6666–6670, 1989. Return to text. Kumamoto, A.T., Charter, S.J., Kingswood, S.C., Ryder, O.A. and Gallagher, D.S., Jr., Centric fusion differences among Oryx dammah, O. gazella, and O. leucoryx (Artiodactyla, Bovidae), Cytogenet Cell Genet 86(1):74–80, 1999. Return to text. Lightner, J.K., Changing chromosome numbers, Journal of Creation 20(3):14–15, 2006; <creation.com/changing-chromosome-numbers>. Return to text. Lightner, J.K., Karyotypic and allelic diversity within the canid baramin (Canidae), Journal of Creation 23(1):94–98, 2009. Return to text. Lightner, J.K., Karyotype variability within the cattle monobaramin, ARJ 1:77–88, 2008. Return to text. Kohn, M., Högel, J., Vogel, W., Minich, P., Kehrer-Sawatzki, H, Graves J.A. and Hameister, H., Reconstruction of a 450-My-old ancestral vertebrate protokaryotype, Trends Genet 22(4):203–210, 2006. Return to text. Kemkemer, C., Kohn, M., Cooper, D.N., Froenicke, L., Högel, J., Hameister, H. and Kehrer-Sawatzki, H., Gene synteny comparisons between different vertebrates provide new insights into breakage and fusion events during mammalian karyotype evolution, BMC Evol Biol 9:84, 2009. Return to text. The reduced fertility is believed to be largely due to the formation of unbalanced gametes. If fertilization occurs, this generally leads to early embryonic death. However, it can sometimes lead to abnormalities in the offspring, such as Down’s syndrome. See Lightner, ref. 8. Return to text. 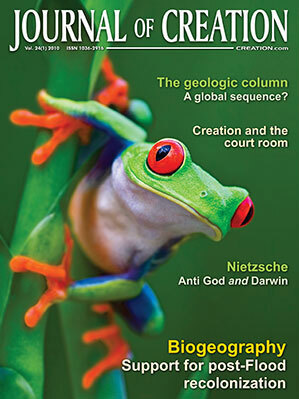 Terborg, P., Evidence for the design of life: part 2—Baranomes, Journal of Creation 22(3):68–76, 2008. Return to text. Terborg, P., The design of life: part 3 an introduction to variation inducing elements, Journal of Creation 23(1):99–106, 2009. Return to text. Longo, M.S., Carone, D.M., NISC Comparative Sequence Program, Green, E.D., O’Neill, M.J., and O’Neill, R.J., Distinct retroelement classes define evolutionary breakpoints demarcating sites of evolutionary novelty, BMC Genomics 10:334, 2009. Return to text.